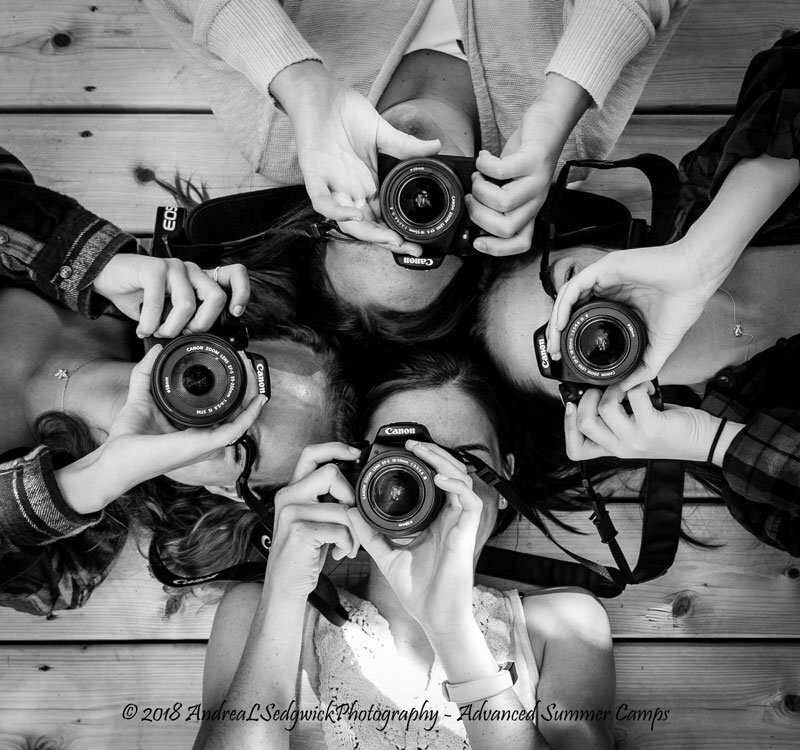 The Photography Summer Camps offer a unique opportunity for students to learn about photography and editing in a fun, hands-on environment. Each camp offers small class sizes which focus on student's individual needs and learning style to ensure quality instruction and supervision. The camps are run by a qualified, professional photographer who is also a certified and an experienced teacher. The Stittsville studio is located in walking distance to trails and parks. All students will go home with an 8x10 print of their work at the end of their week. Principals of photography and light. Freezing and blurring action with Shutter speeds. Learning how to photograph in Manual mode for ultimate camera control. Editing techniques in Adobe Lightroom and Photoshop. Low light and special effects. Product photography (set-ups in the studio). Quality instruction, in a relaxed and fun atmosphere. Small class sizes for more personalised learning (only 6 students per camp). A safe environment and proper supervision of all our students. A greater understanding of your camera and photography. Have an opportunity to learn basic editing skills. 27 years in the Multi-media Industry, specialising in photography, editing, design, advertising and creative directing. 22 years experience in course-ware development and teaching (photography and design) for a variety of institutions, including the Ottawa Catholic School Board, WEA adult education and the Institute of Technology in Australia. Certified teacher and have experience in dealing with students of all ages, backgrounds and educational levels. My objective is not to just teach my students, but to inspire them to achieve their personal best. This is an excursion based photography camp for students who have previously attended a camp, workshop or private lessons with us. The students get to practice their photography skills in a variety of exciting locations which helps them develop their skills and critical thinking even further. Every morning we have a photo critique over morning tea before setting off on a new adventure at a new location. Enrolled students also get to choose the location of the excursions. Cost for week : $395.00 (tax included) - 5 Day camp. Any digital camera – either SLR or ‘point and shoot’ with preferably different mode settings such as “A, TV or M”. • My assistant for the summer is my teenage daughter who is proficient in photography, editing and leadership and has experience in instructing children and teens through their sport and tutoring in academics. • We have a strict pick up/drop off policy, whereby, you provide us with the proper information on who is allowed to pick up your child and we ensure that they are released only to that individual. • Students need to bring their own lunch due to allergy concerns. If you would like to visit the studio, I would love to meet with you, please call ahead to book an appointment.